She previewed at Monaco Yacht Show: the new megayacht CRN Latona is due to the cooperation between CRN Shipyard and Zuccon International Project. 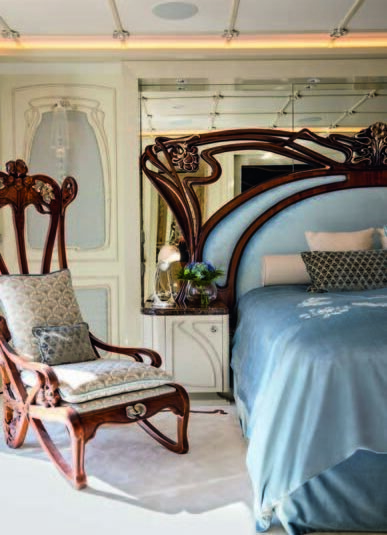 A 100% custom unit built for an owner fond of details. 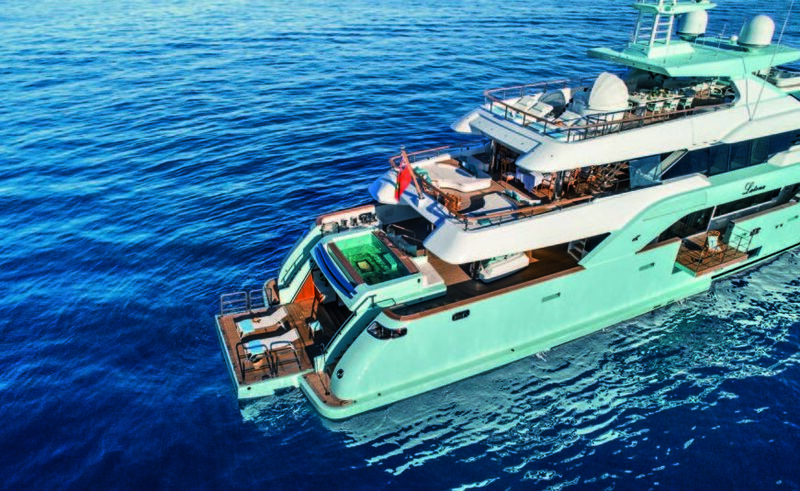 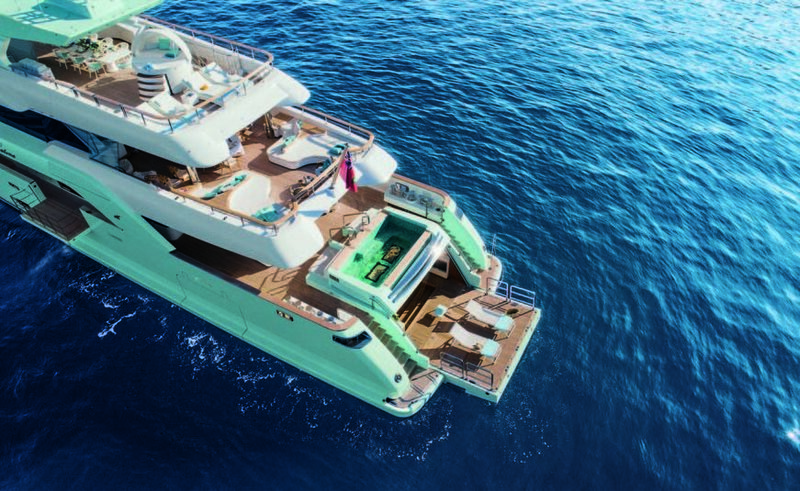 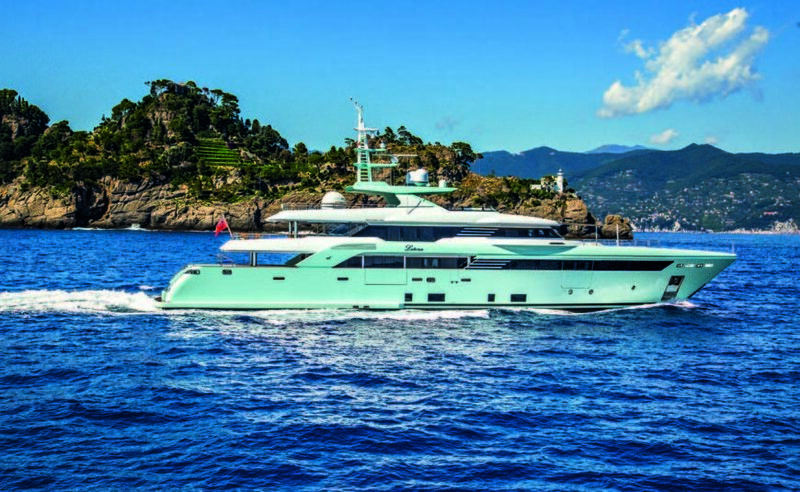 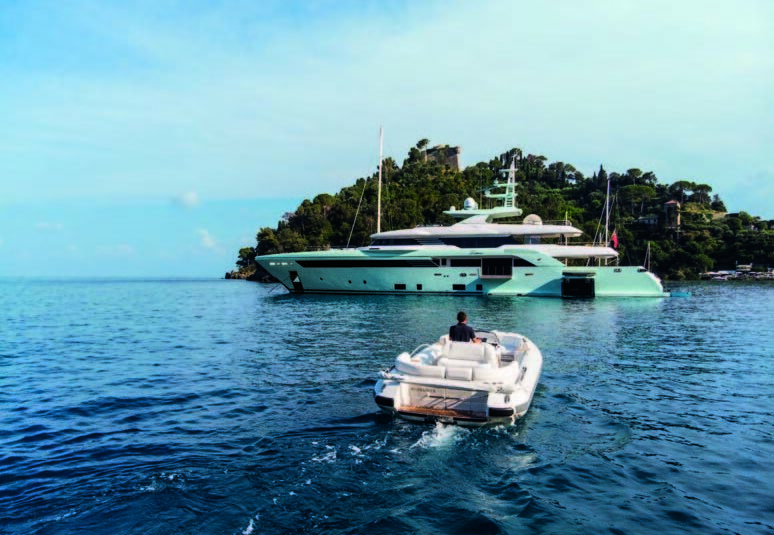 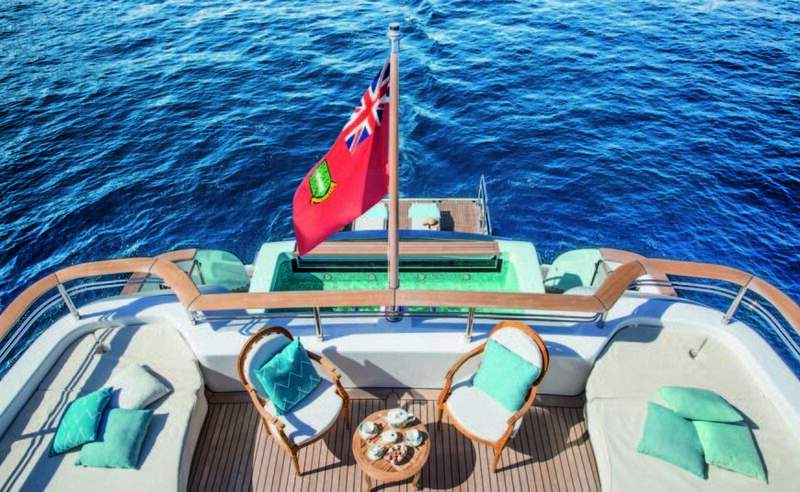 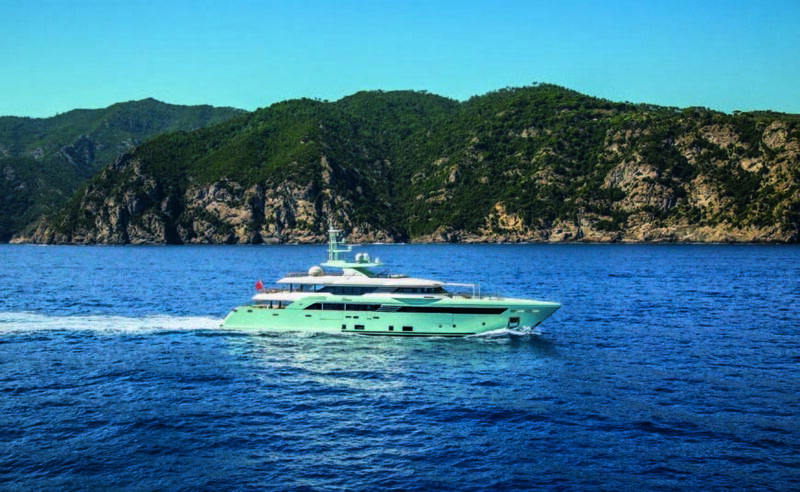 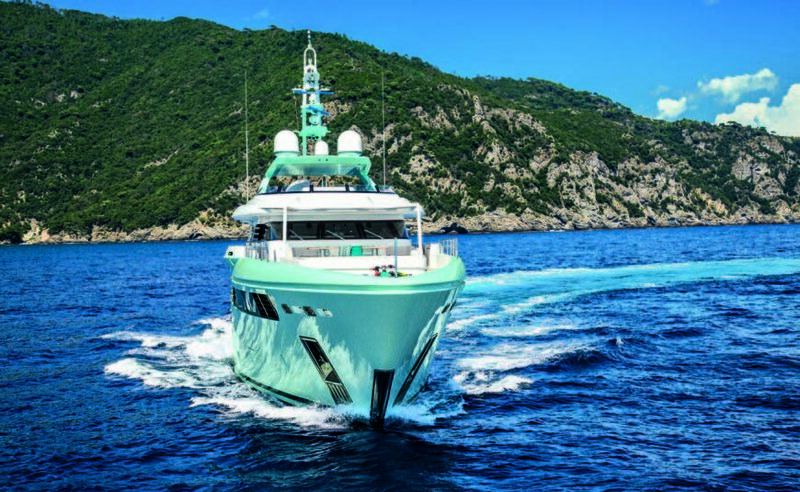 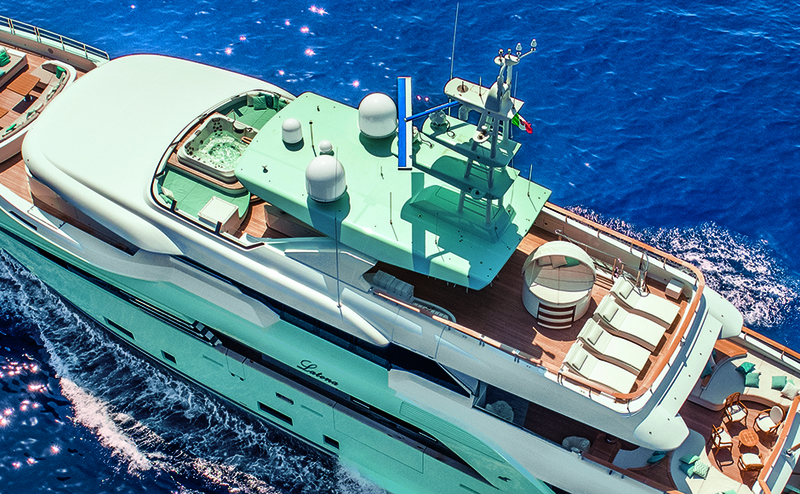 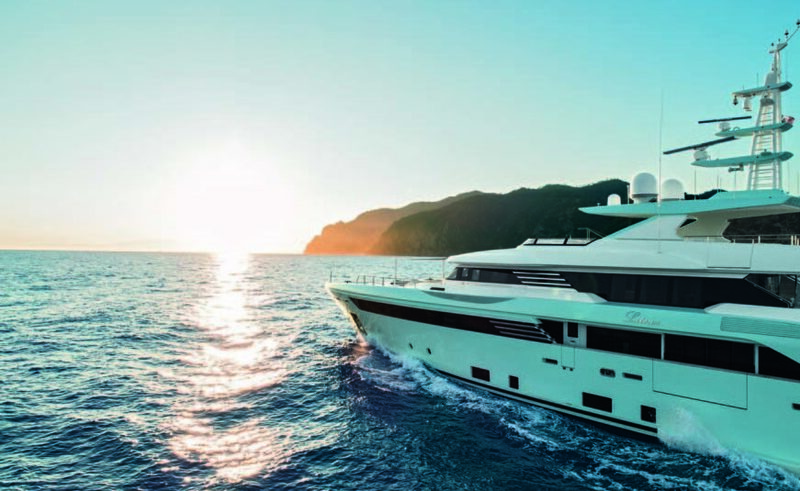 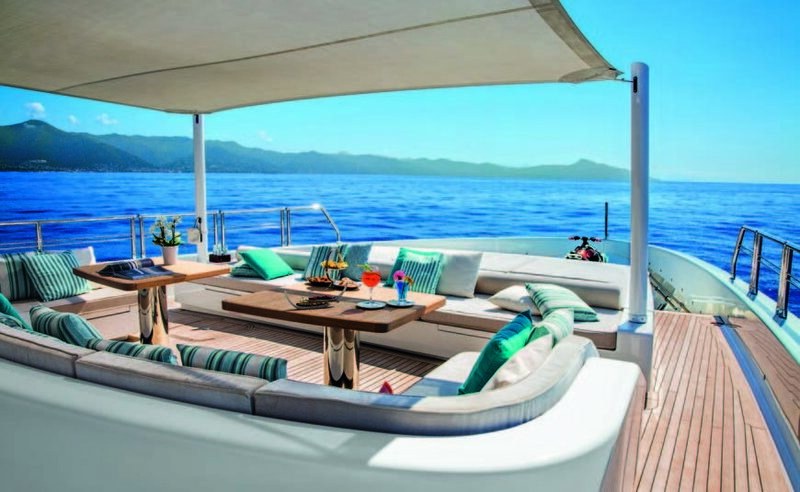 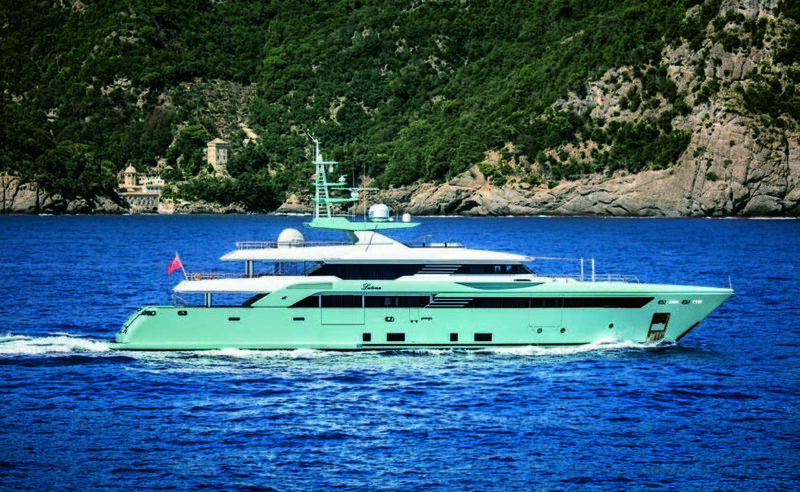 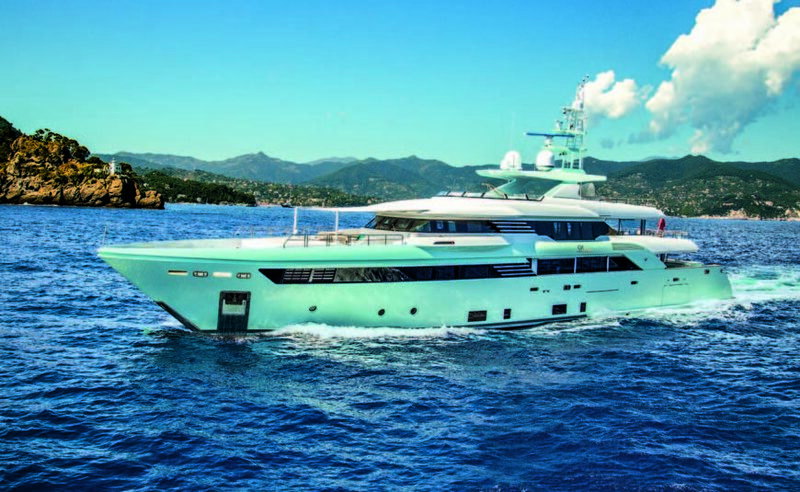 Turquoise is not a common color on a boat, let alone on a 50-meter superyacht. 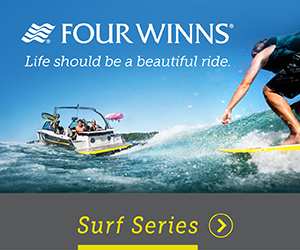 The risk of sort of a “giant candy” effect is around the corner. 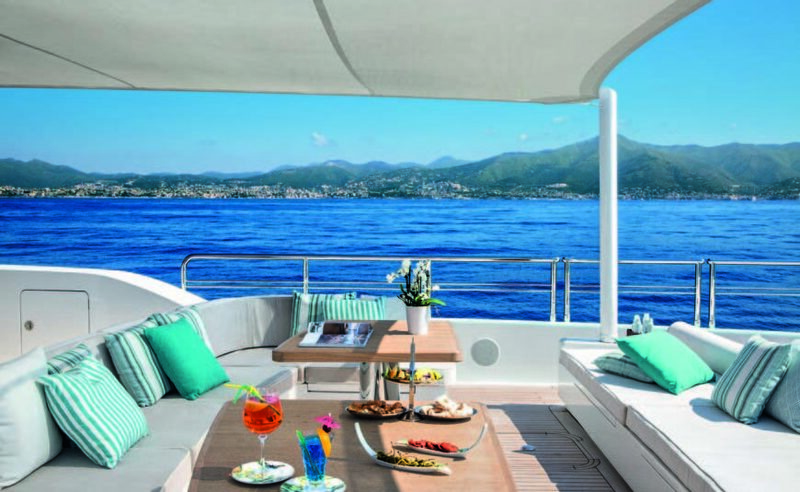 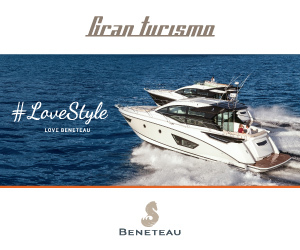 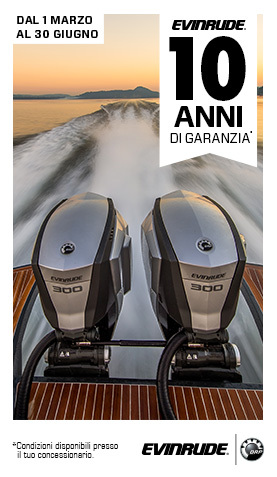 But that’s how her owner wanted Latona to be, and the reason is understandable: we live in a dark and aggressive world, we are burdened with commitments, so at least when we are on board our yacht we try to relax in a light, cool and welcoming environment. 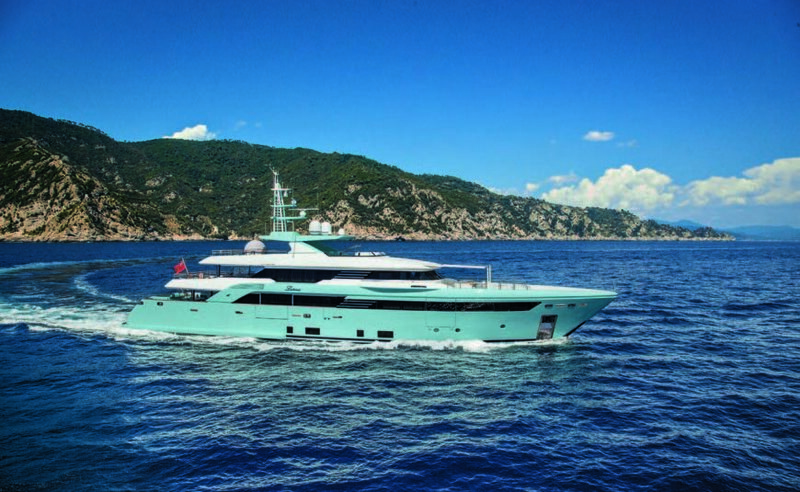 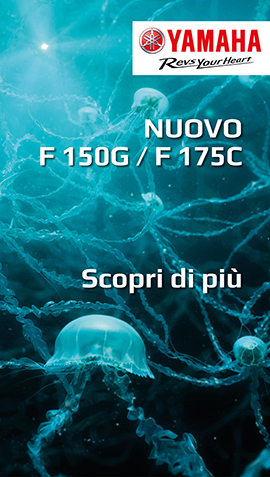 CRN Latona is 50 meters long but the GT is under 500. 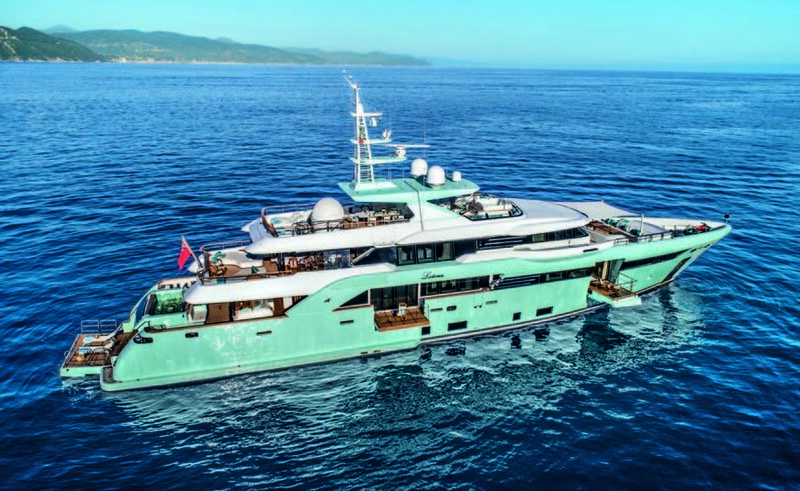 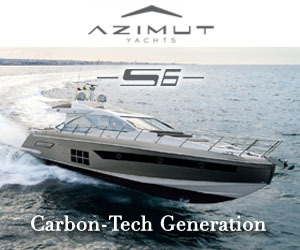 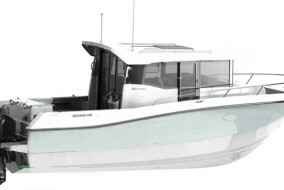 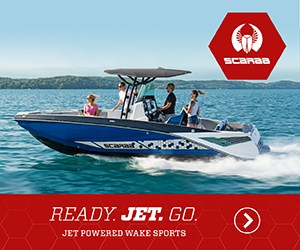 She features four decks and is built in steel for the hull and aluminum for the superstructure. 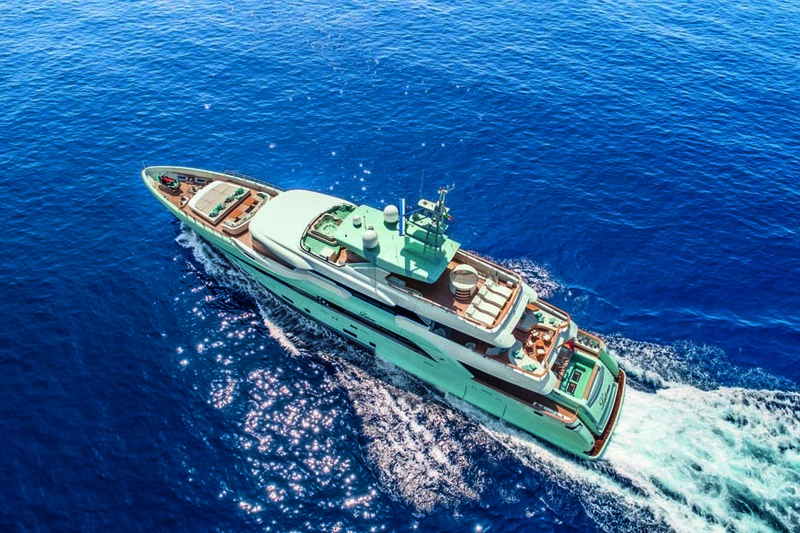 Launched in February, delivered in May and introduced to the public at the Monaco Yacht Show, she was created by CRN in collaboration with Zuccon International Project. 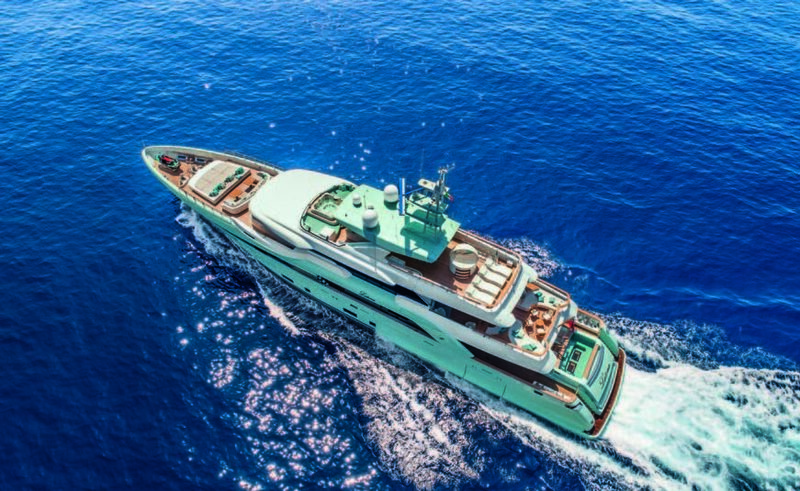 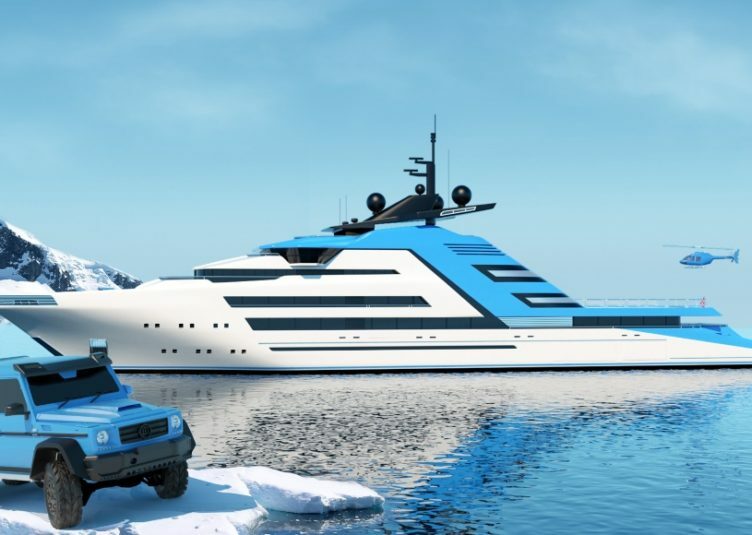 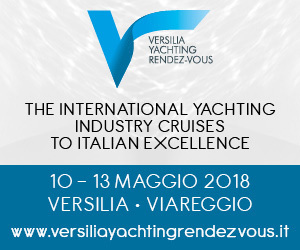 The technical aspects of the project and the streamlined look of the hull are work of the CRN Technical Office, while the exterior lines were designed by the Zuccon studio, who together with the Interiors & Design Office of the yard has curated interiors and exteriors. 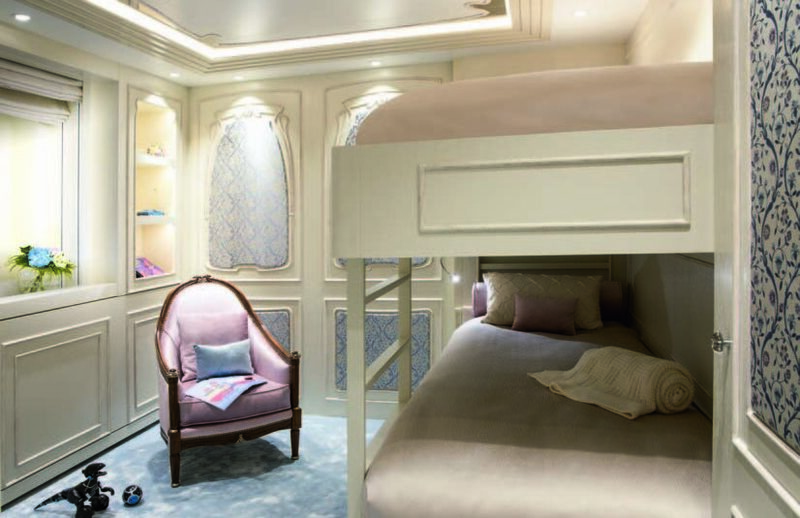 On board there’s five cabins for guests plus a crew area for nine people. 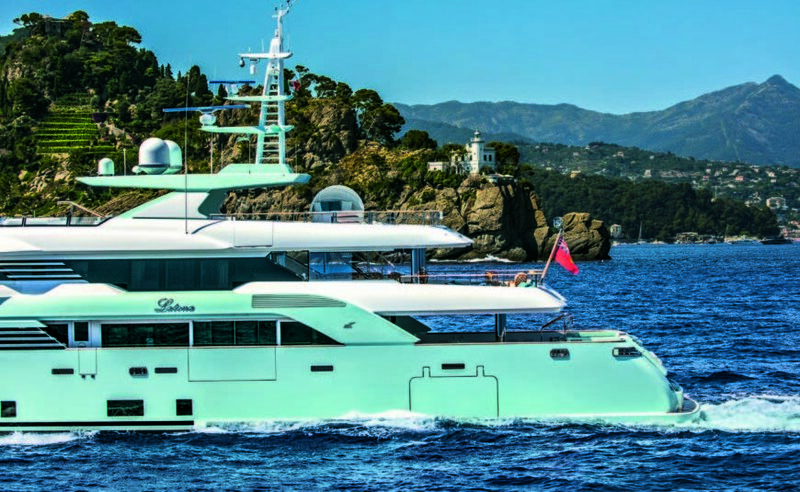 Latona’s exterior look is timeless. 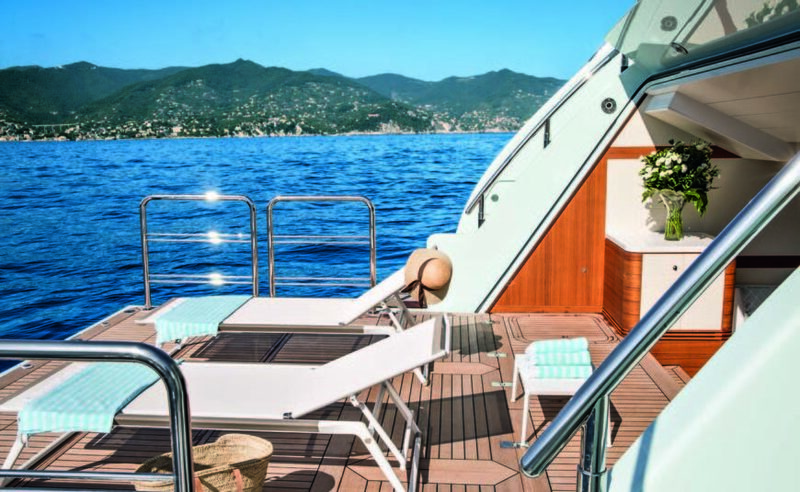 Classic lines that never disappoint, designed with great attention to proportions, heights, and ratio between full and empty volumes. 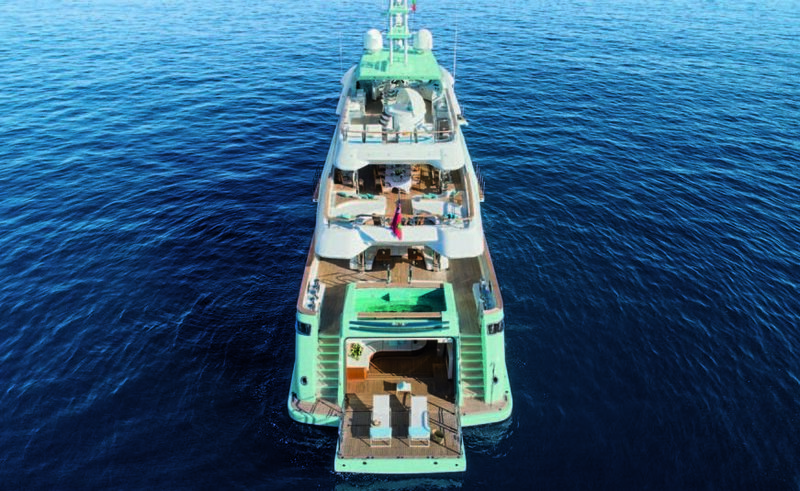 Look at the sundeck and check how large it is: it features a Jacuzzi in the bow, a covered lounge in the middle and a sundeck to aft (there’s is also a box for storing toys, including a giant inflatable slide and a climbing wall to be hung on the side). 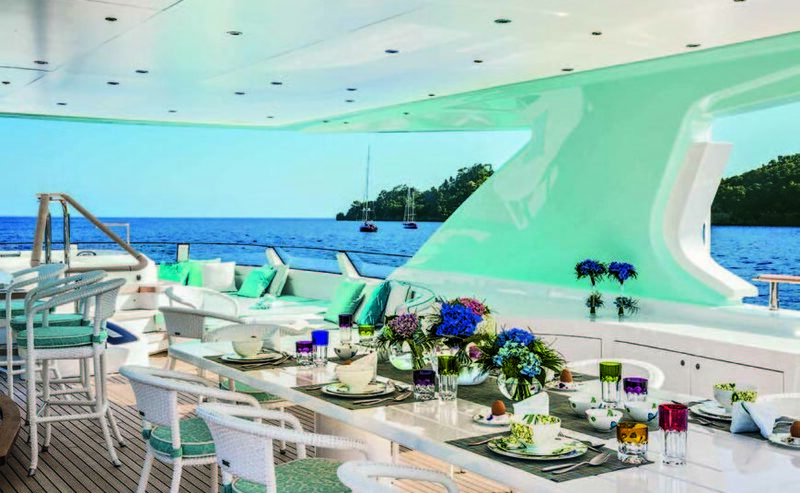 Exterior spaces also include a bow lounge and two aft cockpits. 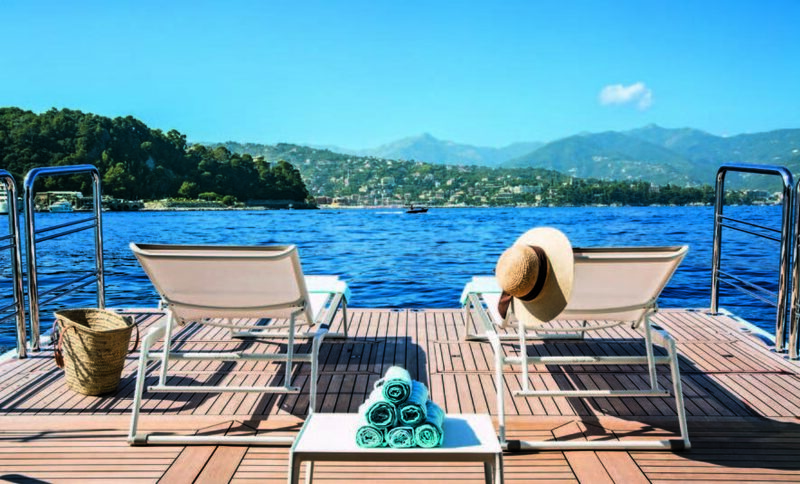 And, the indispensable beach club with solarium, fitness area, hammam. 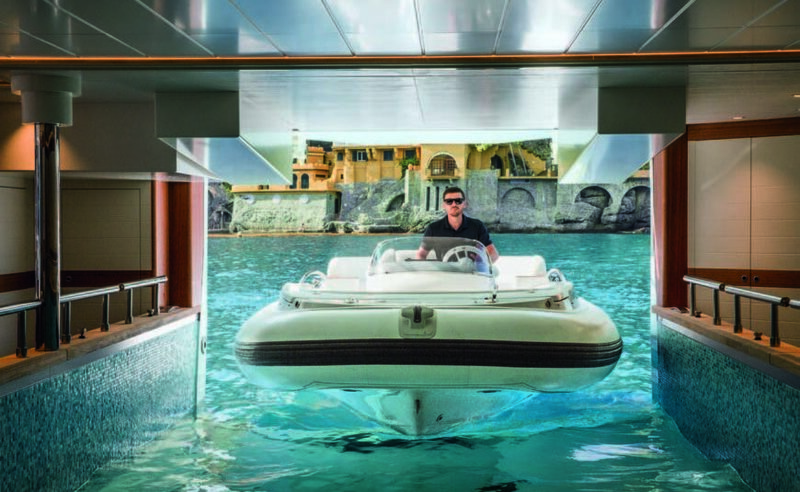 This area is connected to the tender garage, but the 6m tender cradle can be flooded to become an indoor pool. 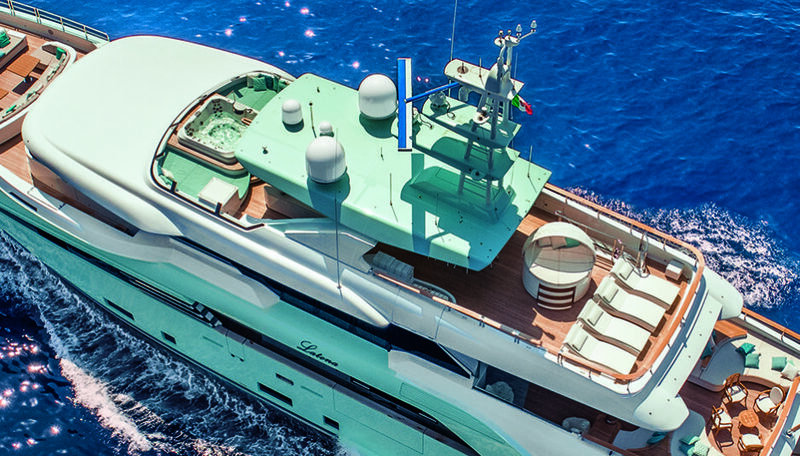 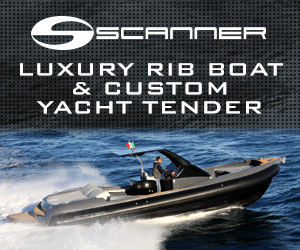 What we know of CRN Latona is that her owner loves Liberty style and that he/she likes details. 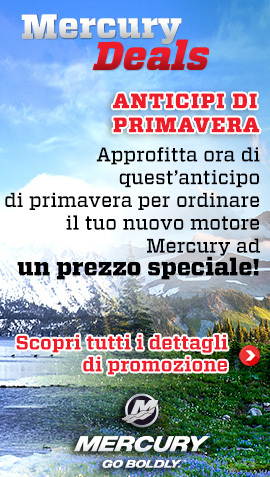 Why we say that? 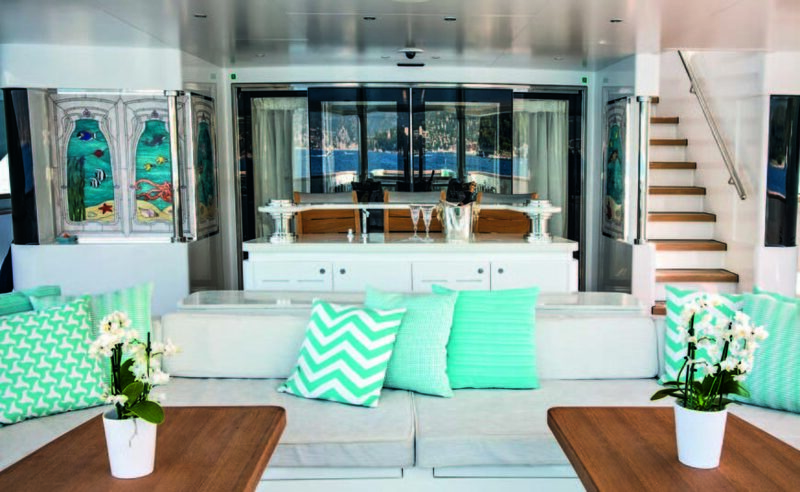 Because the interiors of this yacht are a journey through Liberty, where everything is customized and personally approved by the owner. 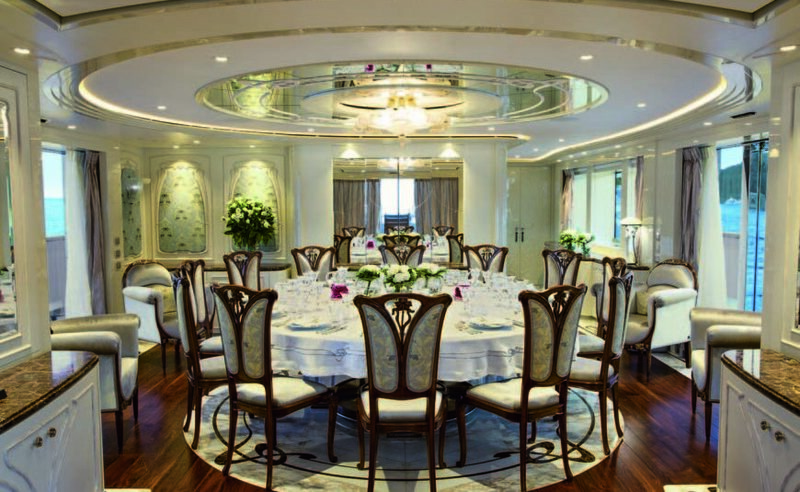 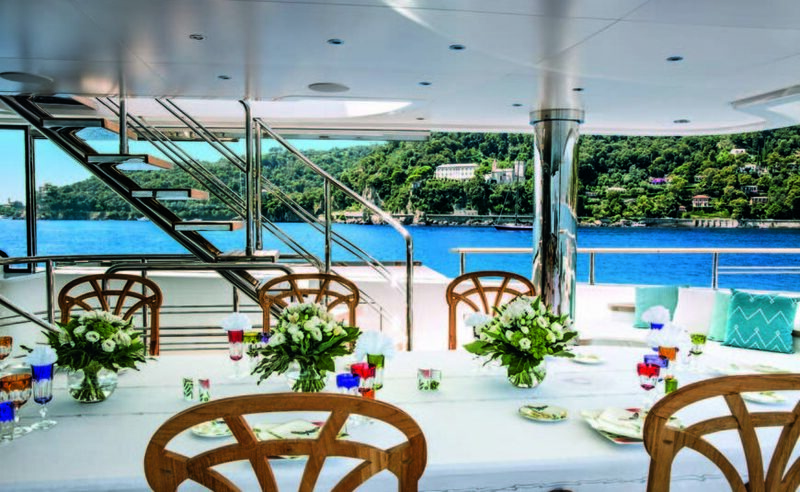 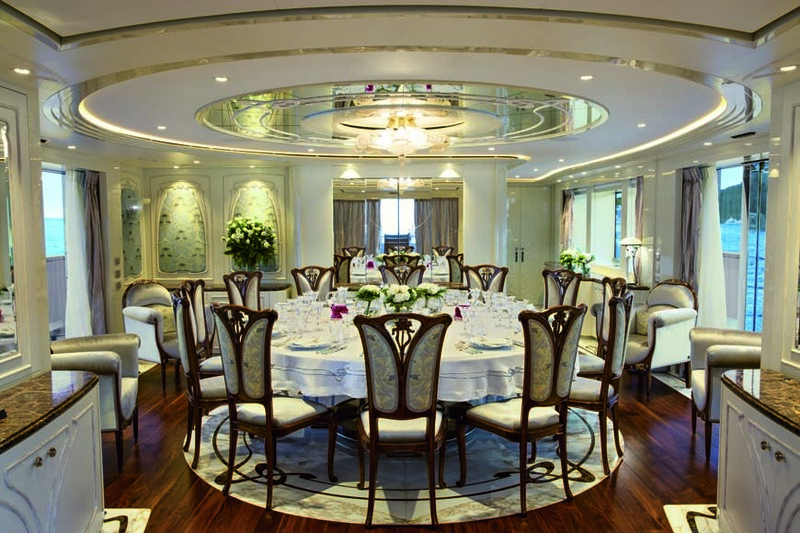 The yacht won’t be available for charter, but just for the owner and his friends: for this reason there’s no lounge on the main deck but a large diningroom. 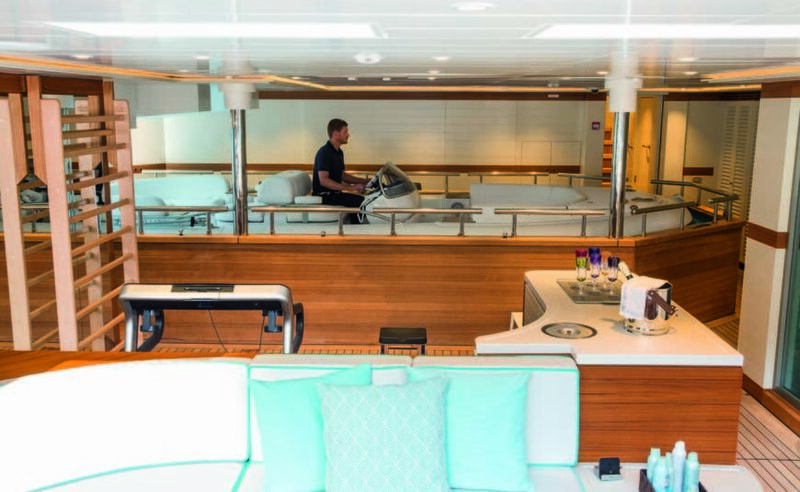 The only lounge is on the upper deck, an informal area with a white piano (it can play by itself) and a lyre-shaped couch (the lyre was a typical Liberty icon). 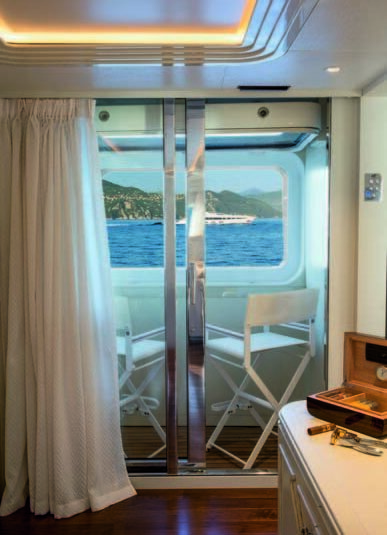 On the main deck first you encounter the lobby with an elevator decorated like a Liberty portal of the French metro. 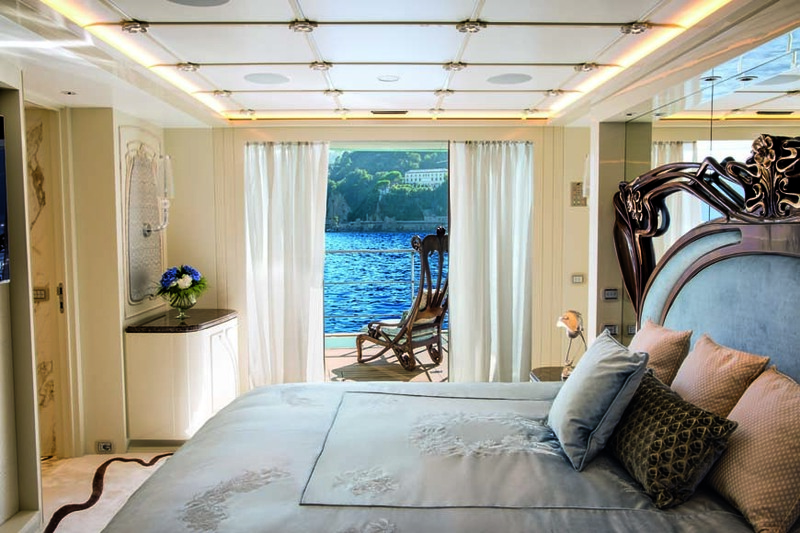 Moving to bow there’s the owner’s apartment: a full-beam suite with smoking room and a private balcony which can be used during navigation. 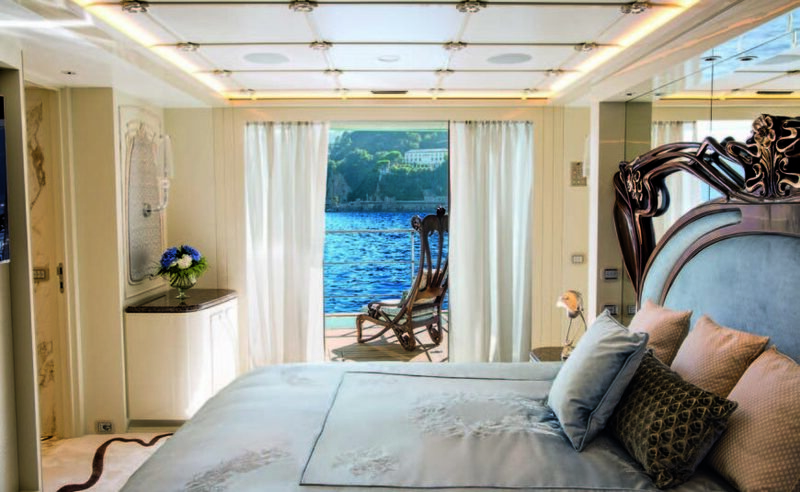 The four guest cabins and the crew quarters are on the lower deck. 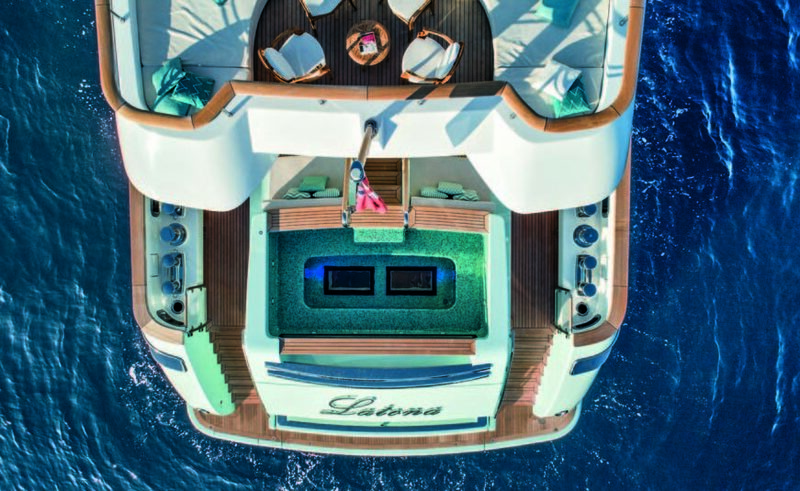 As for the finishing there’s not many different materials: wood, marble, crystal, and silver, all managed by craftsmen who have done an impressive work of chiselling to make CRN Latona truly unique. 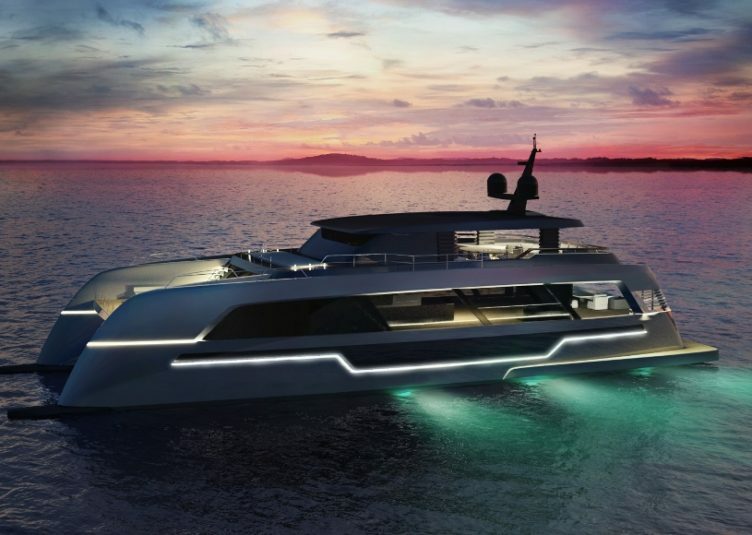 As far as navigation is concerned, Latona is a displacing yacht powered by two Caterpillar C32 engines for a maximum speed of 16 knots and a cruising speed of 14. 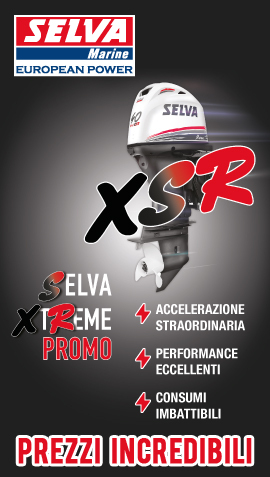 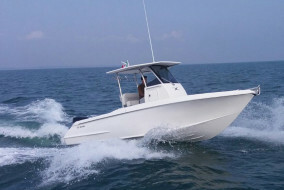 Ithe range is reckoned to be 3800 miles at 11 knots.